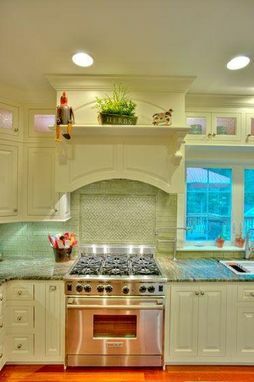 This custom lacquered Georgian kitchen personifies the hearth and heart of the home. 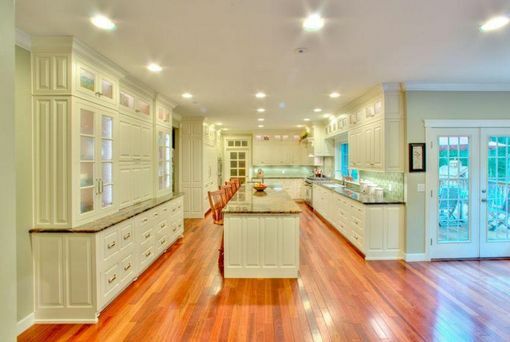 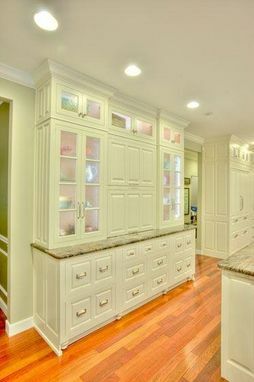 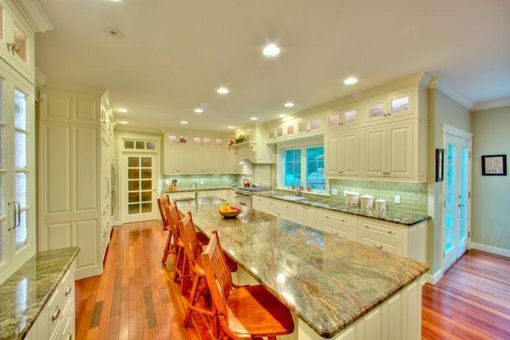 The cupboards extend three-tiers taking full advantage of the spacious 10 ft. ceilings, topped by custom crown molding. 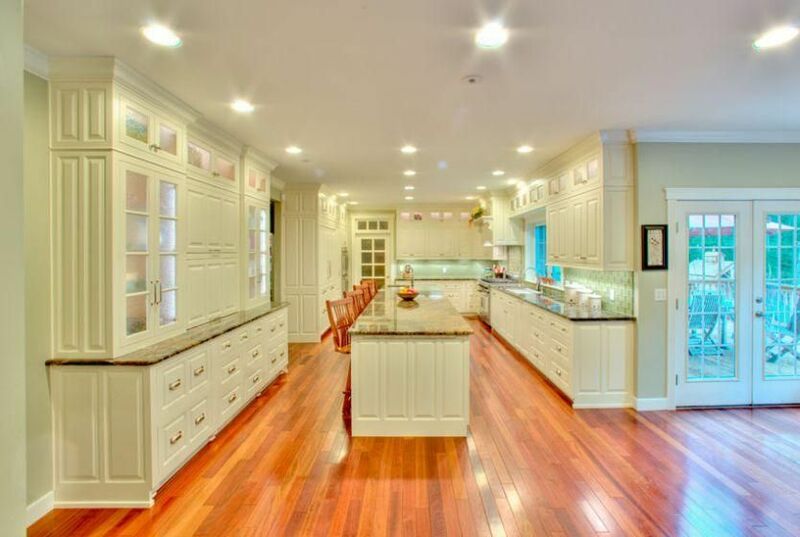 The solid maple doors, drawers and face frames glow with the warmth of lemon ice lacquer. 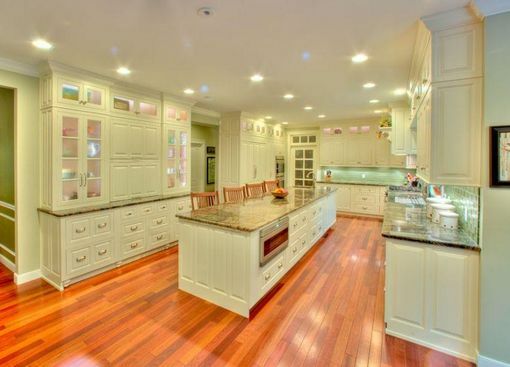 Additional details include internally lit top cabinets with glue chip glass, raised panels with ogee design, matching appliance fronts, and select touch-activated drawers. 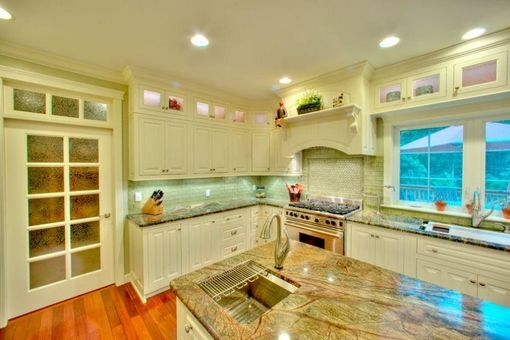 Handcarved corbels flatter the architectural detailing of the range. 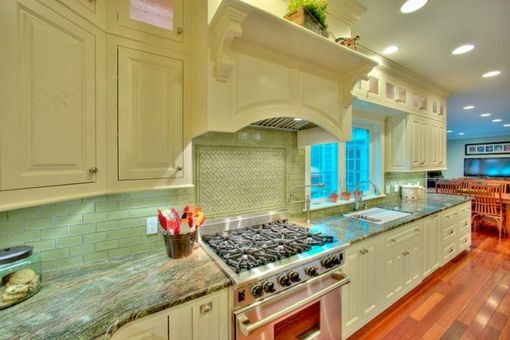 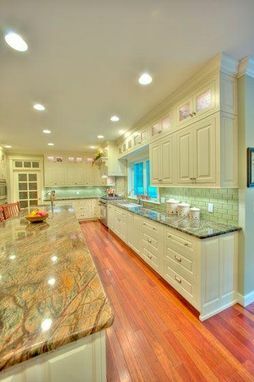 Oceanside glass tile in equator green, Horton Brass hardware, and rainforest green marble all compliment the warmth of this fabulous kitchen. 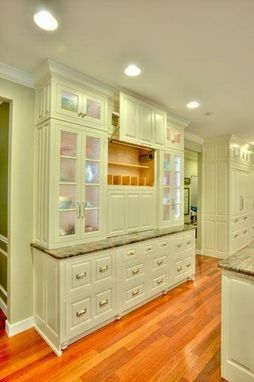 Pricing is for cabinetry only and translates into $1000 per lineal foot. 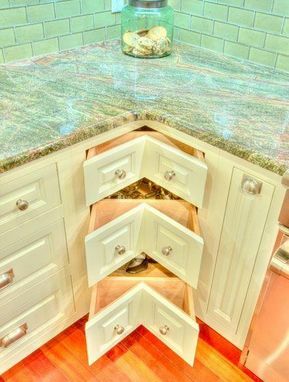 All cabinets are custom made to order. 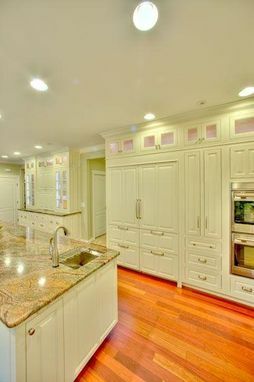 I can help arrange shipping and offer standard crating and white glove delivery (pricing will vary).